The story of David and Goliath is universally known, even in non-religious circles. Many individuals from all walks of life compare themselves and relate to David, as he represents the underdog who took on the conglomerate “giant” called Goliath, and won the battle by faith and determination. In the biblical account, it took David only one blow to bring down the giant. 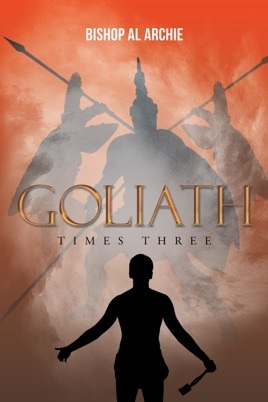 However, David had to actually face three spiritual “giants” in this battle, and not all of them were named Goliath. Like David, we have some Goliaths to defeat if we are going to accomplish what we were anointed for—even before we get to the battlefield. There are many revelations about this particular biblical narrative from many perspectives; the part that these pages play will reveal the three giants that every believer faces as they move forward in the Kingdom; we will see what David’s answer to these giants was, as well as how the believer should respond and what they should keep in mind as they march forward. You don’t have to be a king to face these giants —you just have to move past yesterday and they will come. Friend or foe, family or acquaintance, whoever it is, down with the “Goliaths” —your throne is waiting.